Tampa, Fl -- It's a shame that certain segments of the population tend to glorify the gangster and mafioso lifestyles, while in several countries and societies people just punish these kind of people it makes me wonder why in Colombia (my birth country) why there is always some kind of fascination and glorification with the mafiosos, up to to the point the average has become a soap opera named El Capo which is also being advertised internationally where there is a demography of Hispanic population around the United States and Europe. Recently I stumble on a Colombian magazine named Semana which they made a list of the top 5 richest drug lords. 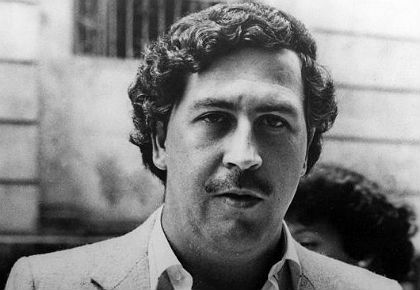 1) Pablo Escobar: Probably the most famous drug lord in the modern history of Colombia as well one of the most notable names that still echoes around the world almost 23 years after his death because of the legacy he left behind after he founded the biggest empire based on cocaine and to his macho attitude where he declared war to the State of Colombia by saying if he wasn't extradite he was going to pay the external debt of the country, albeit it didn't happened. His fortune around 1993 according to Forbes was 3.000 Million dollars and with inflation his wealth would be today around 30.000 million dollars positioning him in the 7th place of the richest men in the world. 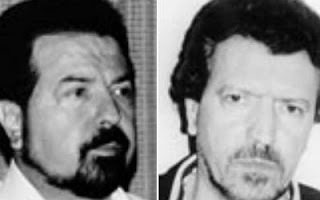 2) The Ochoa's: Probably less known by now, but during the Medellin Cartel Jorge Luis, Juan David and Fabio Ochoa where the responsible ones of the logistics of shipping the cocaine to the United States and Europe. The business was in a boom that Fabio during the 1980's gained around 2.000 million dollars; Jorge and David earned around 600 million dollars each but eventually they lost their fortunes when they surrender to the authorities in 1991 and 10 years later Fabio got captured and extradite to the United States where he is serving a 30 years at a maximum penitentiary in Miami-Dade. Their fortunes combined today would be around 32.000 million dollars. 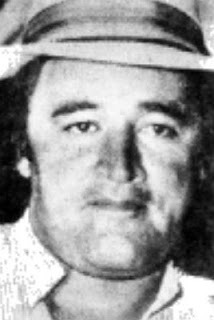 3) Gonzalo Rodriguez Gacha: The lieutenant of the Medellin Cartel, also a jewelry thief specialized in the emerald trafficking at Boyaca, Colombia. Under the tutelage of two drug lords Gilberto Molina on the gem traffic and Veronica Rivera de Vargas on the cocaine business made his first millions. He died on the late 1980's but on those days Forbes Magazine calculated his fortune around 500 million dollars and according to Semana his state if he was alive today would be around 5.000 million dollars. 4) The Rodriguez Orejuela Siblings: Even if their detention happened almost 20 years ago their names are still fresh on the imagery of Colombians because of their money laundry activities and their abilities to hide their illicit business under facades that became popular brands around Colombia such as drugstores and soccer. Their estimate on the cocaine business on 1995 was around 300 million dollars by today would be 3.000 millions and all due after Pablo Escobar's death they dominated the control of the Medellin Cartel as well the 90% shipping of the drug to Europe which generated revenues around 1.000.000 pesos mixed with the 70% stake of the business they had in the United States. 5) Carlos Lehder: One of the most fear individuals on the 1980's. The creator of one of the most used narcotrafic routes on the 80's on the Norman Keys at the Bahama's. He is currently serving a 55 year sentence in the United States and if he would be in the business the estimate of his empire would be around 2.700 million dollars.